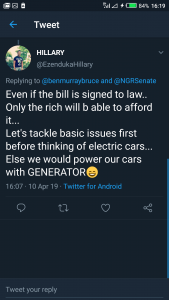 OrderPaperToday – An Electric Car bill introduced on Wednesday in the Senate and slated for first reading has generated negative reactions from Nigerians on Twitter. 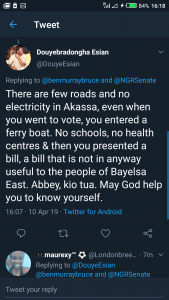 The bill is sponsored by Senator Ben Murray-Bruce (PDP, Bayelsa). 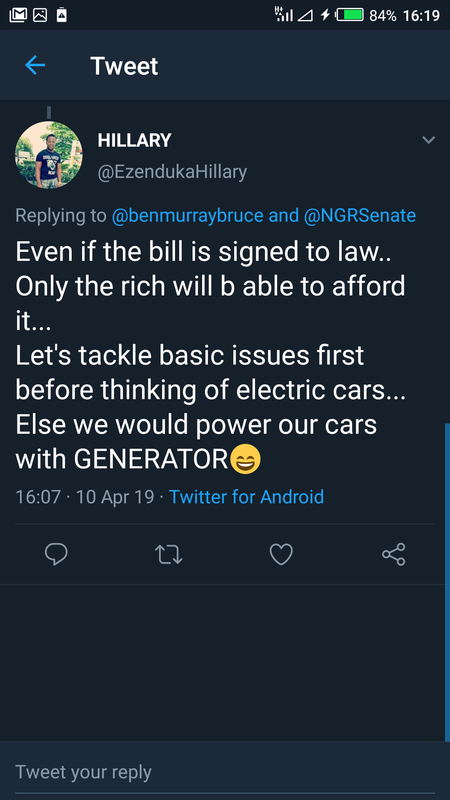 Unfortunately the bill was not welcomed by most Nigerians who believe the country has not evolved to the level of using such cars which are already seen in some foreign countries. 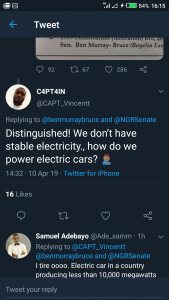 Also, the public held that Nigeria is still battling with issues like power outage, unemployment, poverty among others and such cars will only serve purpose for the rich. 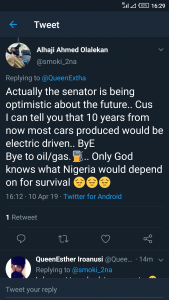 Here are some negative reactions from Nigerians on twitter about the bill. 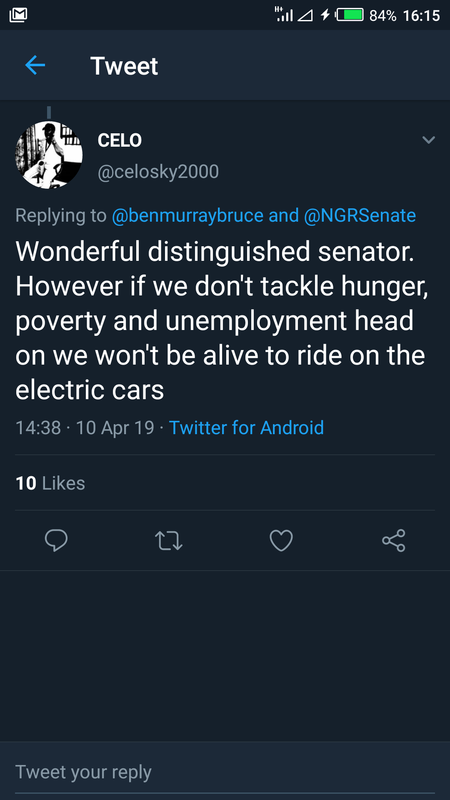 @celosky2000: Wonderful distinguished senator. However if we don’t tackle hunger, poverty and unemployment head on we won’t be alive to ride on the electric cars. 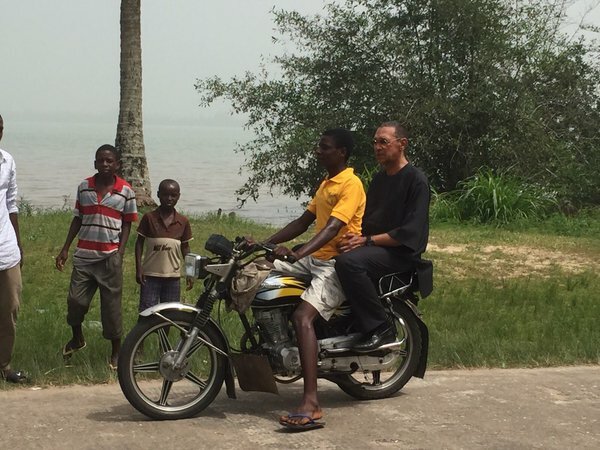 @duoiyeesan: There are few roads and no electricity in Akassa, even when you went to vote, you entered a ferry boat. 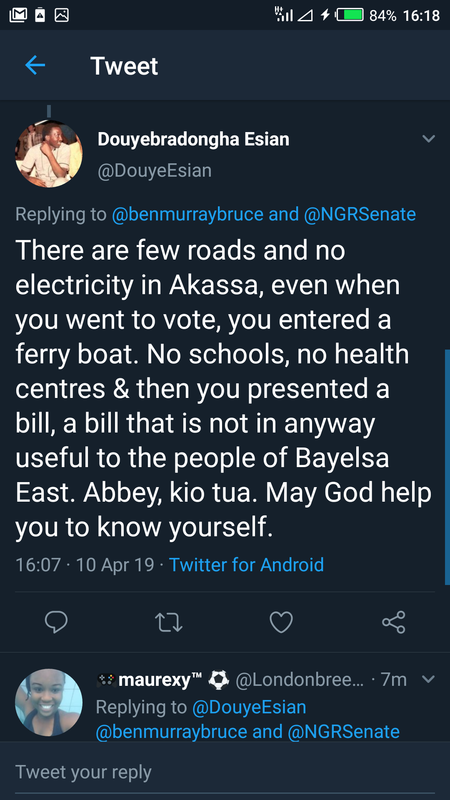 No schools, no health centres & then you presented a bill, a bill that is not in anyway useful to the people of Bayelsa East. Abbey, kio tua. May God help you to know yourself. 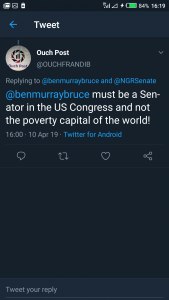 @ouchfrandib: @benmurraybruce must be a Senator in the US Congress and not the poverty capital of the world! While most oppose the bill, some see it as a step in the right direction for the future of the country. 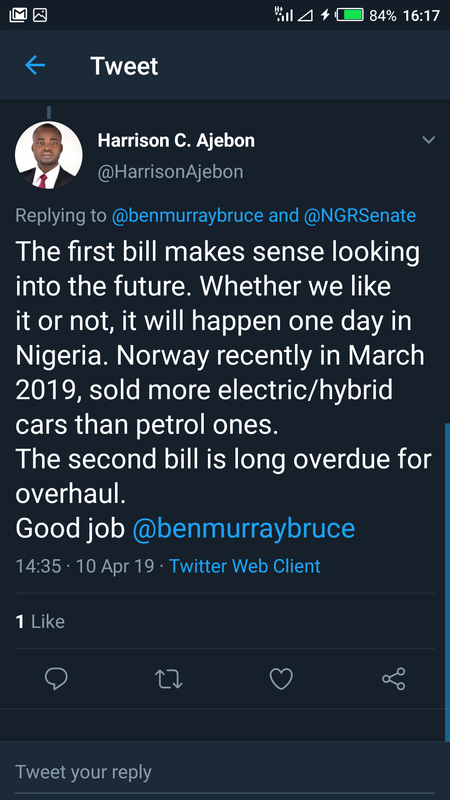 @harrisonajebon: The first bill makes sense looking into the future. 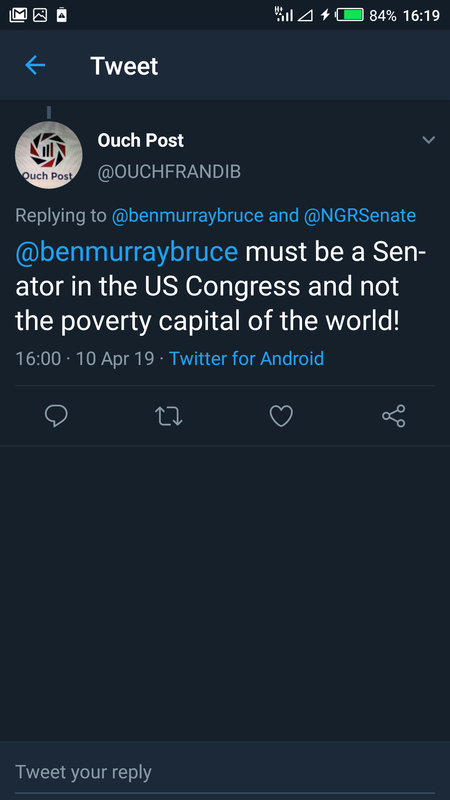 Whether we like it or not, it will happen one day in Nigeria. 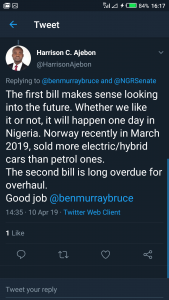 Norway recently in March 2019, sold more electric/hybrid cars than petrol ones. The second bill is long overdue for overhaul. @adesanyadarking: Very good one . But you just starting to work when the tenur almost over. Did not all from the onset of the 8th assembly . 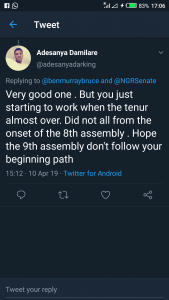 Hope the 9th assembly don’t follow your beginning path. 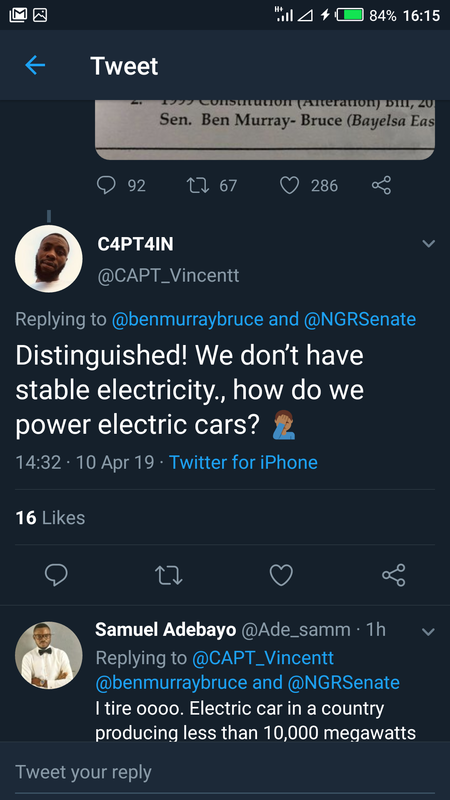 In all, there are however some hovering questions: Is Nigeria really ready for this great leap? 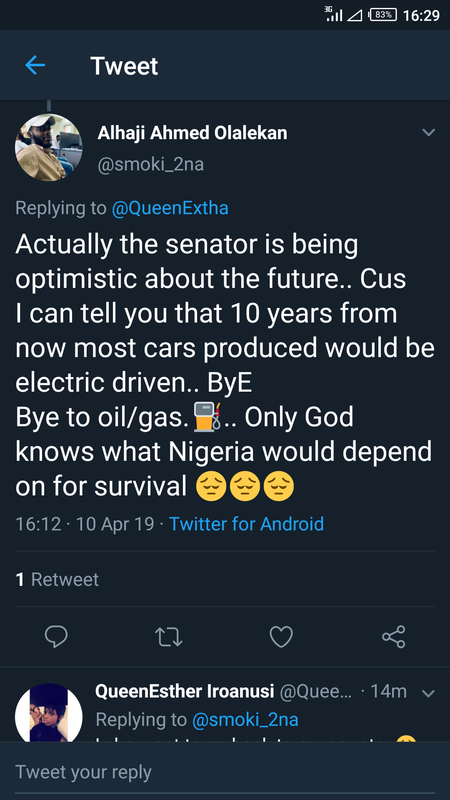 Are the environmental, societal and economic conditions favourable enough to welcome such Cars?